(Cameroon Airlines Corporation dba) (QC/CAC) (Douala) 2011 - Current. Photos. Framable Color Prints and Posters. Digital Sharp Images. Aviation Gifts. Slide Shows. 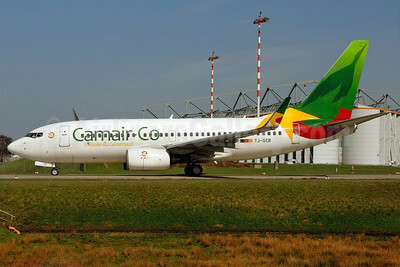 Camair-Co (Cameroon Airlines Corporation) Boeing 737-7BD WL TJ-QCB (msn 33920) HAM (Gerd Beilfuss). Image: 911818. 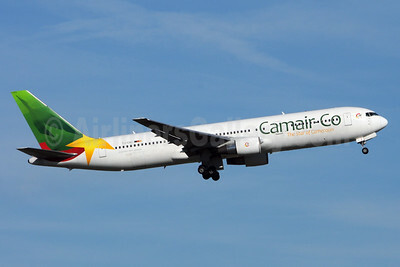 Camair-Co (Cameroon Airlines Corporation) Boeing 767-33A ER TJ-CAC (msn 28138) BRU (Karl Cornil). Image: 925204.